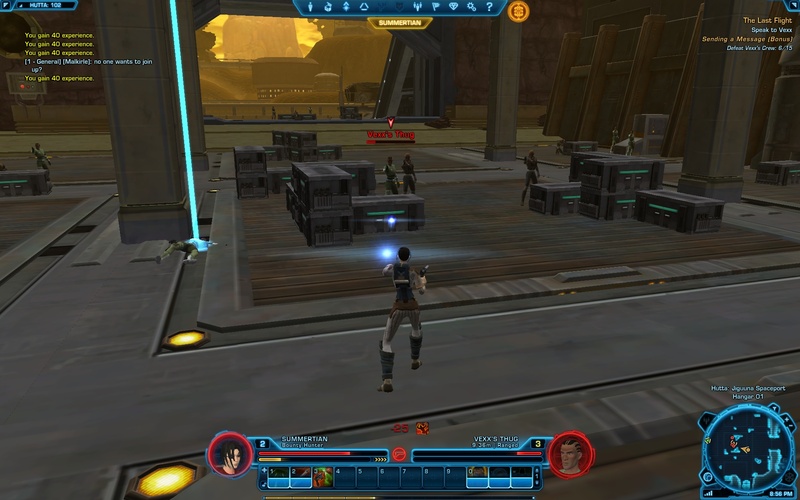 I dabbled in SWTOR one free weekend during the summer, and looked forward to its free-to-play conversion. I heard there was controversy over the actual implementation – specifically what free players would have to pay for (cosmetics, quests, more than 2 hotbars, etc.) – but avoided all the drama and decided to check it out for myself. 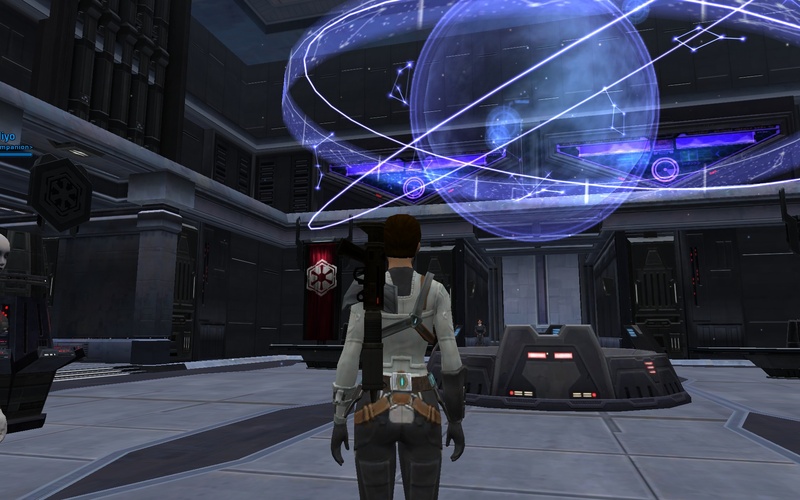 So I reinstalled SWTOR and logged in… oops. The login screen wanted my security code. I had enabled the security key option, configured the iOS app, and it worked well. But when I stopped SWTOR, I deleted the app from my phone. No biggie, I can just put it back on, so I did. Argh! 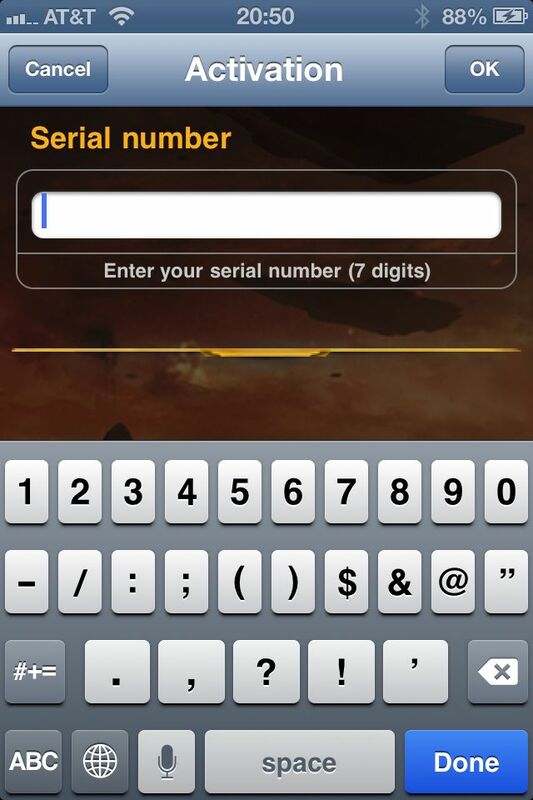 Deleting the app wiped out configuration info (serial number), needed to seed the random number generator. Without that, I can’t log in; without logging in, I can’t configure the security key (again) or take it off the login process. Basically, I screwed myself by deleting the app from my phone. My only option is to contact customer service to get it reset. I’m not sure that hassle is worth it for one level 5 character I played for a few hours. I’m not exactly giving up a heap of Cartel Coins or whatever the giveaway is, if I even qualify for them. I’m not down on these two-factor authentication schemes, I think they are great! I enabled it on my GW2 account (but it isn’t asking me for it ever since I reinstalled under Windows 8) and I wish LoTRO would do it too. Instead, I made another account and plunged ahead to create a new character. I picked Ebon Hawk, the RP server. I’m not a really an RP-er, this is more about hoping for an average player base that enjoys the game for what it is, and of course, ideally avoiding the most egregious meatheads. 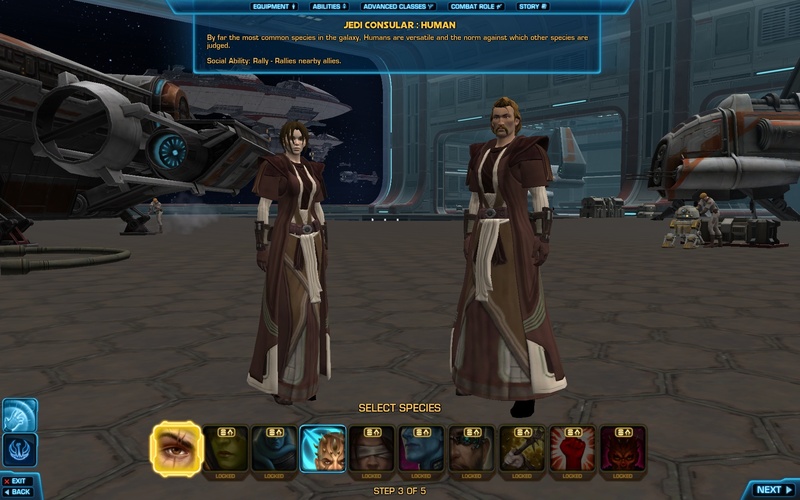 After the opening cinematic, the race selection screen appeared. As a F2P player, I could only pick Human or Zabrak – the rest were locked for purchase in the store. I think Bioware is missing out by not letting me pick a “locked” race to preview it at least. A non Star Wars geek might not happen to know what the Mirialan or Chiss or whatever actually look like. 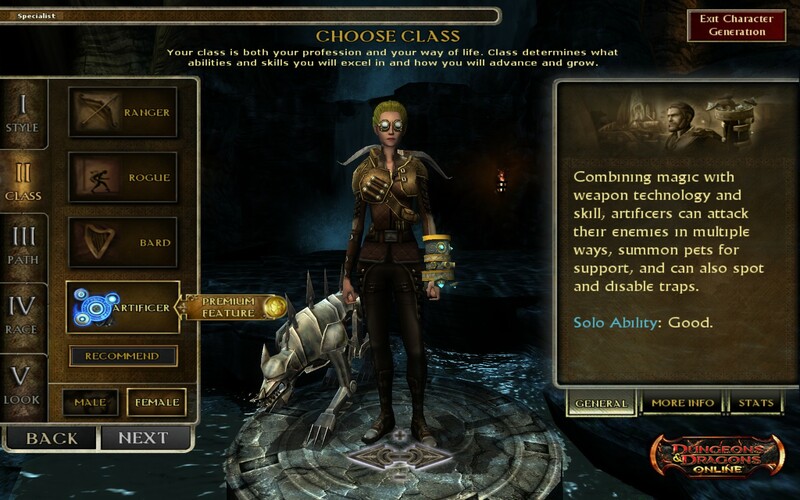 As an example of this mechanism, DDO lets you pick a “premium” class or race to at least see what they look like. F2P Char Creation. Not too many choices. DDO Char Creation. I don’t qualify for Artificier, but I can check out their looks and steampunk pet thingy. Same thing with premium races. I went with Zabrak. I would have picked Mirialan as I did before since I think they look awesome, but that isn’t an option for me right now. I didn’t have much time to play due to the login issues and holidays. 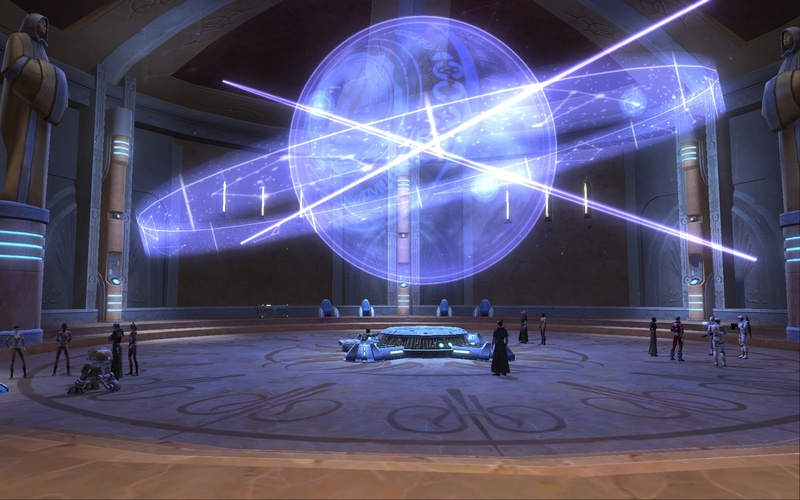 I got to the Jedi Temple and decided I didn’t like Zabrak looks after all. Thus, I went to the Empire Side, and made a Cyborg Bounty Hunter. The story seems more interesting, even at this early level, but I’m not all that excited about the combat. I’ll reserve judgement until I get more more skills. Questing boils down to delivery quests, or kill X bad guys or recover Y items. Not ground breaking, but fun enough. Near the end of my time on Hutta, I picked up a companion, Kaliyo. She looks pretty tough and her additional DPS helps out in combat. I made heavy use of henchman and heroes in Guild Wars, so having an extra character to adventure with me is fantastic. I played to level 10, at which point I could pick an advanced class, either Operative or Sniper. However, I couldn’t figure out where to go to do that. I read through the popup help but it still wasn’t clicking, so I resorted to the all-knowing Google. I turned up a nice reference on this exact subject: Advanced Class Selection Walkthrough Guide. What happened was this: I left Hutta early, less than 10th level, so the quest wasn’t available when I passed through the Fleet Area. Instead, I followed the storyline and was about 3 loading screens past this area, into Dromund Kaas. I would never have guessed that the trainer was back there, and in fact, I didn’t believe the walkthrough at first because there wasn’t a quest indicator (triangle). However, it appeared as I got closer to the quest giver. I think that this is a bad play experience. Either the in-game directions need to be even more explicit about where to go (maybe give you a quest to find the guy that starts your advanced class quest, so there is a quest green highlight to follow), or the game should not let you pass through the Fleet Area, and 2 or 3 loads past that to another planet entirely, without letting you get the quest. Or maybe something like sending an in-game mail, “Hey, you’ve hit level 10 so go visit X at the Y (click to accept quest) to pick an advanced class”. It would be worded better of course. Anyway, I found the quest giver and soon faced a decision: Operative or Sniper. Advanced Class Choice. Flip a coin? I mulled over the options for a bit, and decided to go with Operative. I haven’t spent my single skill point yet, wanting to do a little research first. Honestly, so far I am enjoying the game. I’ve read all sorts of stuff where a billion players are screaming mad at EA/Bioware, but that seems par for the course when something displeases the playerbase of an MMO. I haven’t been significantly impacted by my free-to-play status yet… however we shall see. I suppose it would be a very bad sign if I already were feeling the limits, since I’m only level 10! So far I’ve gotten several quest rewards that boil down to “subscribe to pick this” choices, and have a large number of game mechanics, from rest experience to certain gear modifications to crafting to choosing a legacy (?) to crew skills to inventory slots to… apparently there is a lot left out for free-to-play folks. The game helpfully points these out all the time. I enjoy the storyline too, but that is always a big draw for me, from single player RPGs (Fallout, Skyrim, etc.) to other MMOs with storylines (Guild Wars, LoTRO). Combat is kinda so-so. I’ve been able to fight everything by essentially mashing skills on cooldown, and I wish the choices were more strategic. My favorite MMO for this was Guild Wars – timing/usage plus skills chosen mattered a lot. Next best is LoTRO, due to skill mechanics from reactive procs, side-effects, and cooldowns (get max effect from usage, plus not wasting a good skill at the wrong time). 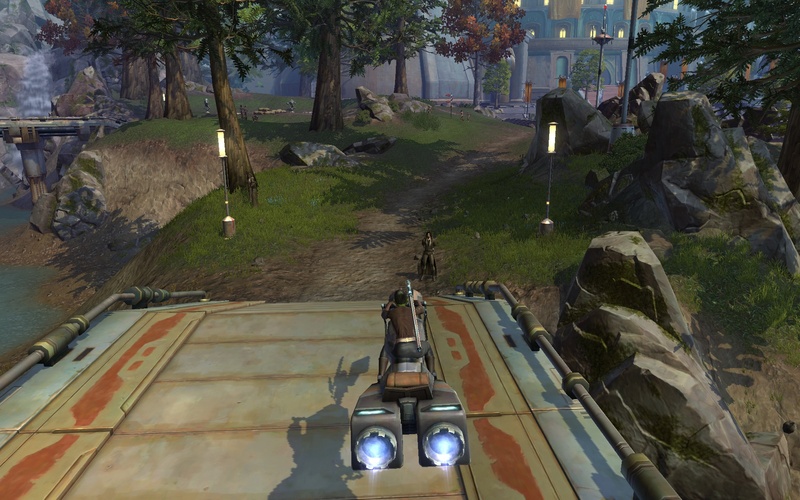 SWTOR is like GW2 in this respect, towards the “just use it on cooldown” side of the spectrum, but worse as class mechanics in GW2 can alter this (attunements for eles, belts for engineers, etc). 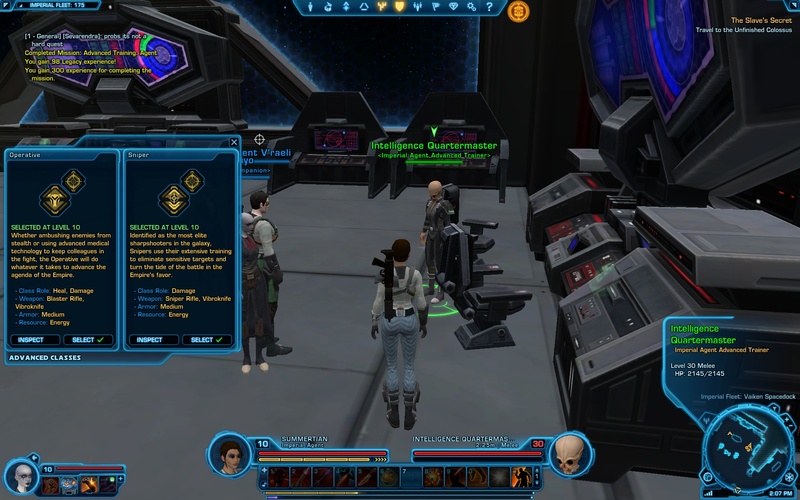 However I realize that at level 10 in SWTOR, maybe I haven’t seen that much of the skill tree or of the available skills. The graphics are also so-so: functional, decent, but definitely on the simple side. Similar to what I remember of WoW, except with a sci-fi design motif. Maybe that is good as the game works and is speedy, and I don’t have issues with my video drivers like I do when I play GW2. Unfortunately, I feel like I’m moving through a tile-set everywhere I go so far – kind of like in earlier RPGs from Bioware such as NWN. It is especially bad with back and forth travel, because major chunks look repetitive, and there seem to be several stretched out areas (hallways in particular) that only serve the purpose of running longer to get somewhere. I also enjoy the fully voiced quests. Unfortunately I believe it is partly responsible for the massive cost of developing the game, and contributes to its enormous disk footprint (~21 GB on my system), but I can’t deny I do enjoy the interactiveness of receiving quests. Especially the dialog trees and minor branches within. As for continuing to play, that’s a tough call. Part of that depends on how much another game grabs me. I would like to see more of the storyline, especially now that I picked an Advanced Class, but there are some obstacles. First, I’m really not that much of a Star Wars fan. I mean yeah, I enjoy the IP and all, but there isn’t the same thrill for me as I feel discovering a lore-heavy area in LoTRO. Second, I don’t intend to raid or group much in SWTOR – because that would mean spending a lot of lift various restrictions – which in turn means that if all that is drawing me is the story… well I could be just as well off playing KOTOR or finishing the various RPGs I also have, from Fallout: New Vegas to Skyrim. For now, I’ll keep the game around (remember, I’m tight on disk space) and play it now and then, see how it goes. I couldn’t resist checking out Star Wars: The Old Republic over the free weekend. So I downloaded the client, and patched… and waited… and roughly 4 hours later it finished up and I was able to enter the game. 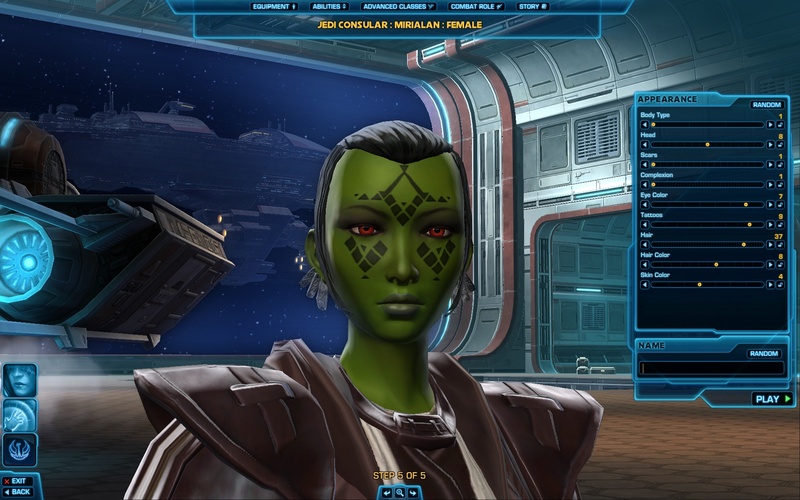 I’m not up on Star Wars lore, except for the very basics, and didn’t know there was a green-skinned race called the Mirialan. 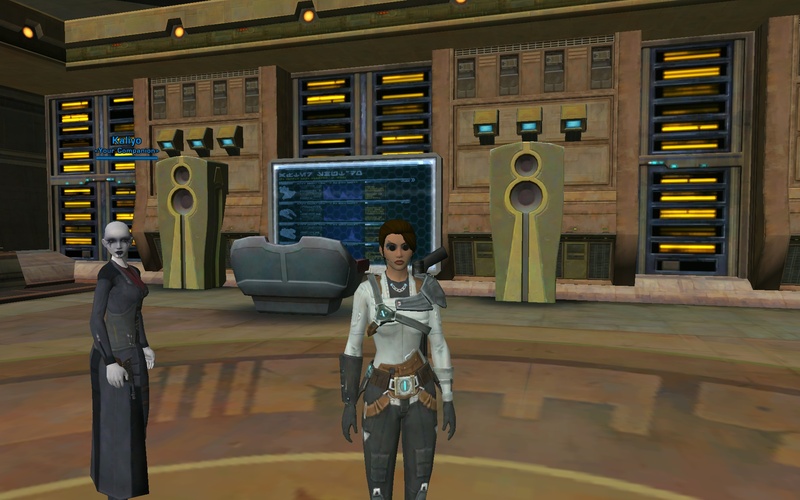 I thought they looked cool so I made a Jedi Consular (fuzzy on what that is exactly, but as long as I get a light saber I’m good). From there I entered the game in Tython, and quested around a bit. I was only able to play 3 hours the entire weekend, due to travel, but was happy I could be in the game at all. I made it to level 5, and am at a quest in Lower Kaleth where I need to search for the Lost Blade. I like the voiced quests and full video – it made the normal “get quest, do quest, speak afterwards for reward” feel conversational and a bit more immersive. I usually read quest text, but sometimes skim it. Here, I paid attention. So far, and admittedly I’m barely into it, there are fewer quests than typical. But, in other MMOs the larger number of quests generally include a lot of filler. Basically the main storyline quest and an isolated extra quest here and there. That’s OK actually, I’m good with following path as long as there is always something to do. The separation between the world and your story is seamless – just a green glowing field to indicate you are about to enter a storyline area, or a red glowing field to show you can’t enter. Nice! If you have the map up and are standing still, it is opaque. If you start to move, it turns transparent, letting you see the world and the map. This is so handy! This is a nit I always had with Star Wars in general – this is a universe with high tech all over (spaceships, warp, laser weapons, etc) and the best hologram technology is some crummy low resolution blue projection?